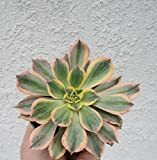 Aeonium Sunburst, Comes in a 3.5" pot. 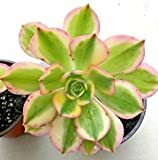 Aeonium sunburst for sale – Easy plant to grow, grown for the ornamental leaves, planting in spring to summer, better to buy plant, leaves or another option to start from seeds yet more challenging. 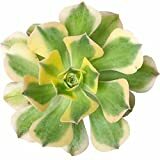 Leaves in wedge shaped flowers that appear in green-yellow mix color.